Chris Crellin, Senior Director, Product Management Intronis MSP Solutions by Barracuda. 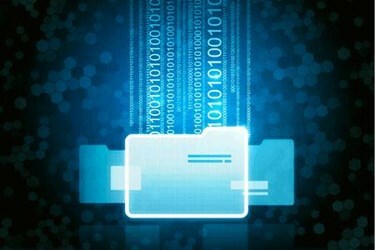 By definition, backup and archiving serve two distinct purposes and both have different requirements. While backup is about getting a business up and running after an outage or crisis through the rapid recovery of data and applications, archiving pertains primarily to compliance and governance. Yet, it is not uncommon today for MSPs to come across customers who confuse these two terms, and understandably so given that both backup and archiving are broadly related to data protection. What vertical market sector do you do business in? What kind of data do you want to protect? What situations are you trying to protect against with this solution? Each of these questions can also lead to deeper conversations with your customers about the differences between backup and archiving, and help you make the case for how they should be leveraging one or both solutions to protect their data and their businesses. To minimize downtime in the event of an outage or cybersecurity incident such as malware, phishing, or ransomware, businesses need to have a backup solution in place, along with a strategy for ensuring business continuity and disaster recovery. Two key performance metrics that MSPs must look at in this case are Recovery Time Objective (RTO) and Recovery Point Objective (RPO). RTO is the maximum amount of time the business can tolerate an outage before it starts to severely impact operations. In retail, for example, a business that experiences an e-commerce outage or loses access to its point-of-sale infrastructure can quickly see its revenues fall, and in a worst-case-scenario it will face the risk of going out of business if it can’t get back online quickly enough. How much data a business can afford to lose is dictated by RPO, which defines the amount of time that can elapse between backups. For example, it is critical for businesses with fast-changing data, such as online banking transactions, to have the ability to back up data at frequent intervals. Losing even a few minutes of transactions can have dire consequences for the business. The recovery scenario in archiving is very different than backup because it is not about the amount of time that has passed since an outage or the amount of data that has been lost. Instead, it is about rapidly identifying specific data — emails, files, database values, streaming media, etc. — and marking them for retrieval. Businesses operating in highly-regulated industries including financial services, healthcare, or legal, must maintain their data for a specified amount of time, sometimes as much as 10 years, in order to comply with HIPAA, FINRA, and other industry regulations. Examples of other situations where access to archived data is critical, and ones which transcend all industries and vertical markets, include lawsuits, disputes between a company and its employees, and other investigations that create the need for a company to search through e-mails and electronic files for evidence, a process also known as eDiscovery. Effective archiving solutions must provide search and retrieval capabilities that are powerful enough to quickly crunch through massive quantities of data. As such, many archiving technologies capture and store metadata, which in the case of e-mail includes the time, date, sender, and receiver, in addition to raw data. Furthermore, it is important to note that archiving strategies seek to save everything or at least a protected copy of everything. Therefore, as an MSP you should make sure that the archiving solutions you are recommending to your customers can process multiple types of data, i.e. documents, databases, images, and audio files, with the same high level of integrity. As an MSP, understanding the difference between backup and archiving and being able to educate your customers on the various nuances of each solution can help you achieve trusted advisor status because customers will ultimately know you have their best interests at heart when it comes to recommending the right solution for protecting their data. Also, by having deeper and more meaningful conversations with your customers around their backup and archiving needs, you can gain more insight into other managed services they may benefit from, which can then help you drive new and recurring revenue streams that will lead to business growth. In the end, it's a win-win for everyone. Chris Crellin is Senior Director of Product Management for Intronis MSP Solutions by Barracuda, a provider of security and data protection solutions for managed services providers, where he is responsible for leading product strategy and management.